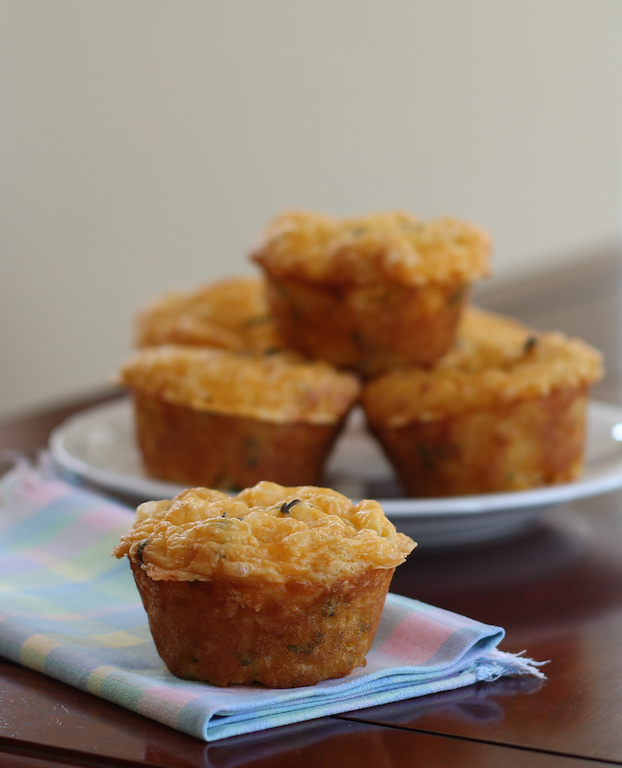 Loads of cheese, fresh herbs and a bit of spicy cayenne pepper make these savory muffins rich and flavorful. Every Monday I get together with a lovely group of ladies for Bible study. We come from many countries and varied backgrounds but we enjoy our time together trying to learn whatever God wants us to learn, whether from the Bible or each other. And, with such a diverse group, as you can imagine, there is so much we can learn from one another. The last couple of weeks we’ve been joined by someone special, the mother of one of our little group, who has been visiting since the holidays. As you might have guessed from my title, her name is Derkje. 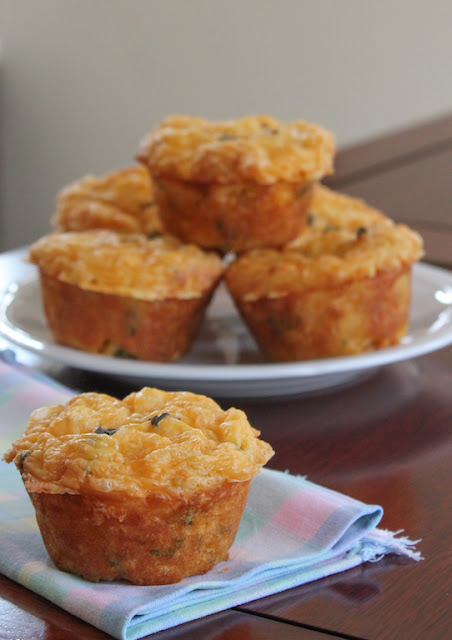 As I left our meeting last week, she leaned over and almost whispered, “Do you have a recipe for a savory muffin? Perhaps with cheese?” Well, I have plenty! But most of them make 12 muffins and our dear Derkje recently lost her husband, love of her life and best friend of more than 60 years. Even though they freeze well, 12 muffins is an overwhelming number and I didn’t want to discourage her from the outset with a large batch she’d never end up baking. 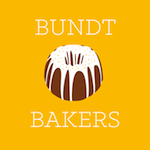 So I worked out a recipe for just six, baked them up, and passed them over with the printed notes. I wanted to use a cheese that was readily available where Derkje lives in the Netherlands so I made them with Gouda, but you can substitute any aged cheese you have. A nice cheddar would work just as well. 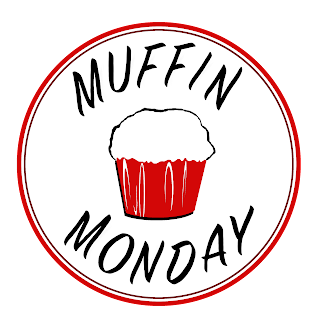 At today’s meeting, I told her that I’d be sharing the recipe with the rest of you for Muffin Monday but, not to worry, I wouldn’t use her name. Derkje replied that she would be delighted if I would. It’s a name that was given to her by her father and she is very proud of it. Isn’t that lovely? She heads home tomorrow and we are going to miss her lively contribution to our group. 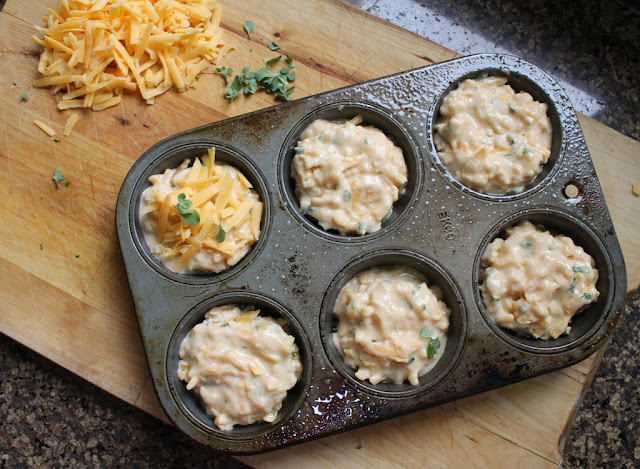 Preheat your oven to 350°F or 180°C and generously grease your 6-cup muffin pan. 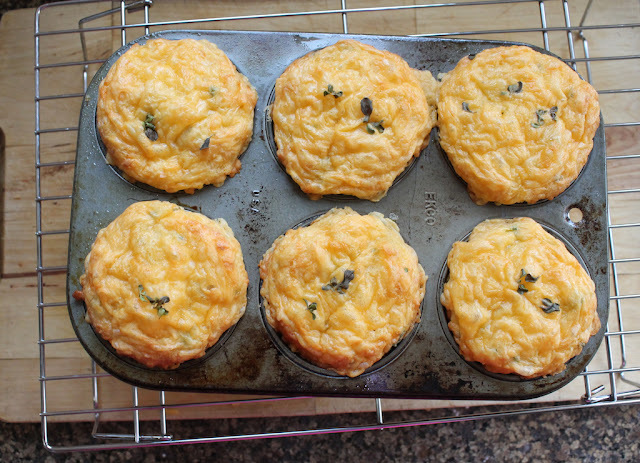 I would suggest putting the batter into a greased tin rather than muffin cups because the cheese in these makes them bake up lovely and browned and crunchy all over. You’d miss that in a paper cup. I used non-stick cooking spray but you can use butter or a little more oil. 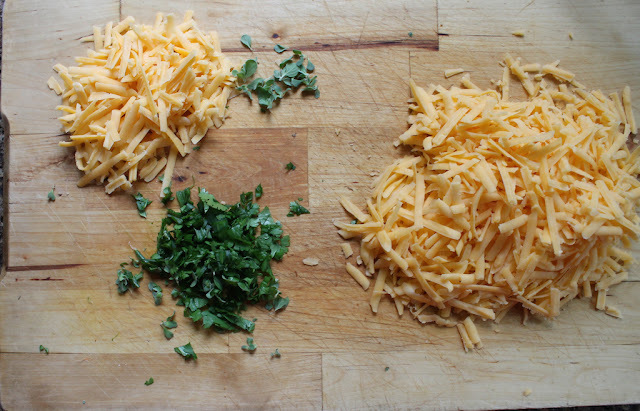 Grate your cheese, setting aside a generous handful for adding to the top before baking. Pull the leaves off of any herbs with woody stems, then mince your herbs, saving a few tiny sprigs or leaves for decoration, if desired. 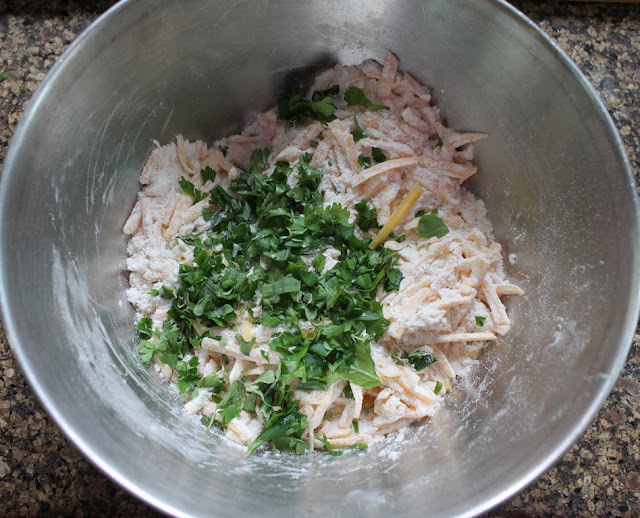 In a large mixing bowl, whisk together your dry ingredients, including the cayenne pepper. 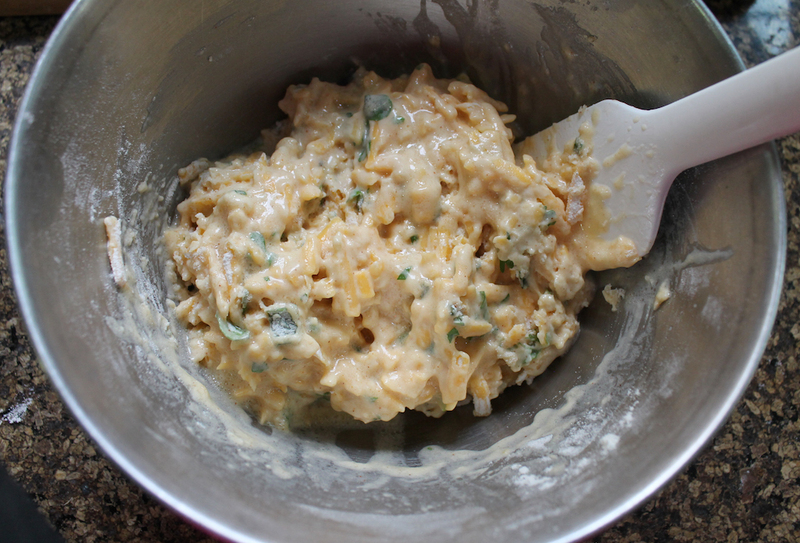 Then stir in the big pile of Gouda, making sure all the bits are well coated with flour. Add in herbs and mix well. Pour milk mixture into dry ingredients and fold until it is just combined. Spoon the batter into your very well greased muffin pan. 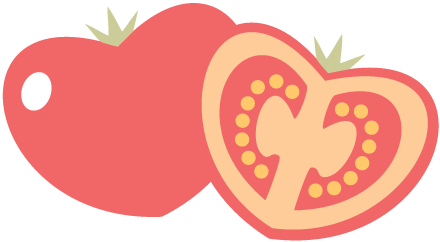 Top with the reserved cheese and decorate with a herby leaf or two. 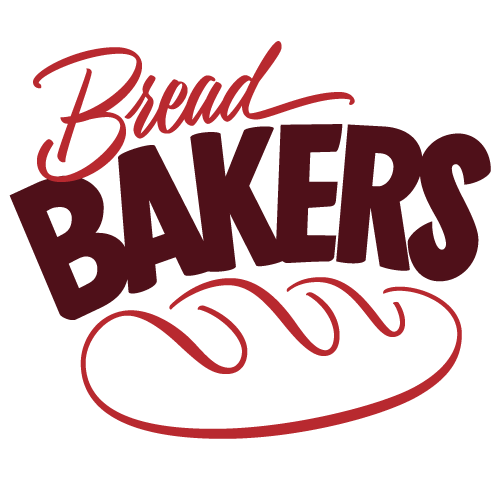 Bake in your preheated oven for 20-25 minutes or until they are looking browned and crispy and delicious and you can’t wait another second to eat them. BUT, allow the muffins to cool for a few minutes then use a non-pointy knife to loosen/remove them from the muffin pan. 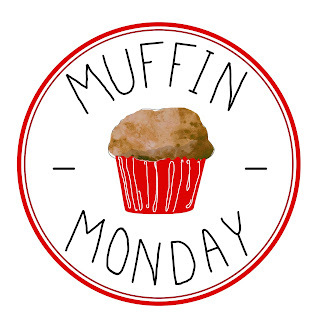 Check out all the other great recipes my Muffin Monday bakers are sharing today!